(Already owned) (Purchased from Costco as external drives and stripped to bear drive) $130 ea.!!!! After the "updated" Mac Pros were released in early June, I began to think about alternatives to handle my film and graphic intensive work load. I did some research and found that my Mac Pro's config could be sold and fully if not almost fully offset the cost for my hackintosh build! I spent about 2 weeks looking for all of the right parts, as I will not be needing to buy a new computer for a very long time as Apple's Mac pros will still not surpass my new builds power for at least another year and a half. After I had received all the parts from Newegg and Amazon (check both because I got some really good deals on Amazon that were not on Newegg - ex. saved $60 on my Power supply!) I attached my vertex 4 SSD to a Seagate Go-flex portable hard drive adaptor cable (I use this for my Macbook Air time machine and bought from Costco - 1.5TB for 150 bucks!). I then copied the base OS from my Macbook air and everything required to boot. I then booted off of the SSD (still on my Macbook air) and installed the EASYBEAST tool from Multibeast. I then proceeded with the actual Hackintosh build. - note my Mobo was SSI-EEB form factor (not officially supported by the STH10 however it is, and was confirmed when it fit =D). The case needed to be assembled which I enjoyed it took about 2 hours to complete (pay attention to the pictures if you build this case!) I then tested everything OUTSIDE THE CASE to make sure there were no problems with any of the components before I installed them in the case. OSX Booted without a problem, and after some fine tweaking, ethernet, onboard audio Realtek 898, USB 2.0 etc works fine. Still haven't found a working USB 3.0 driver but haven't given it much time yet, as all my storage is internal =D. I have the 4, 3TB HDDs in 2 Raid configs, both in Raid 0 with one as a backup. I chose not to use raid 10 because I still like the archive feature of a normal backup. Cinebench Comes in at just under 20 PTS! Idle temps for the system are approx. 30 degrees C, and 39 degrees C UNDER FULL LOAD!!!! The system is not super loud, but it is still noisy… the is due to the cheap 120mm fans I bought for the case. As time goes by i'll upgrade the fans one at a time, so I'm not spending 150 bucks on case fans. In the future I think I will also get another set of RAM to utilize quad-channel supported by the XEON E5's. After your system is bootable, before you install extra kexts to get everything working (unless you use a DSDT) is to enable a screen sharing application. Either Logmein or the Mac version (both work fine). I had accidentally disabled by USB ports by improperly installing the next. Luckily I had screen sharing enabled for this very reason! If anyone is thinking about building a super computer similar to this one, and has any questions, please feel free to ask! As time goes on I will continue to post updates etc regarding this build. First, let's start off with an entry-level machine. The hack pro is $853.32 cheaper, of course, but the machines have some key differences. The Hack Pro benefits from having 4GB more RAM, though that RAM is a tiny bit slower (not that you'd ever notice). Apple's Mac Pro also has dual GPUs. Albeit slower in specifications, some professional software is specifically tuned and optimized to work with AMD FirePro GPUs. Unfortunately, almost no software takes advantage of these dual GPUs on a Mac at the moment and probably won't for awhile. Its PCI-based flash storage is faster, but whether or not you'll notice that speed is another story. The main difference is the processor, as we're putting the top-of-the-line Core i7 processor up against Intel's server-grade Xeon E5. What kind of difference does this make? Not much. The Core i7 definitely scores lower in multi-core benchmarks, but Core i7 bests it in single core performance. 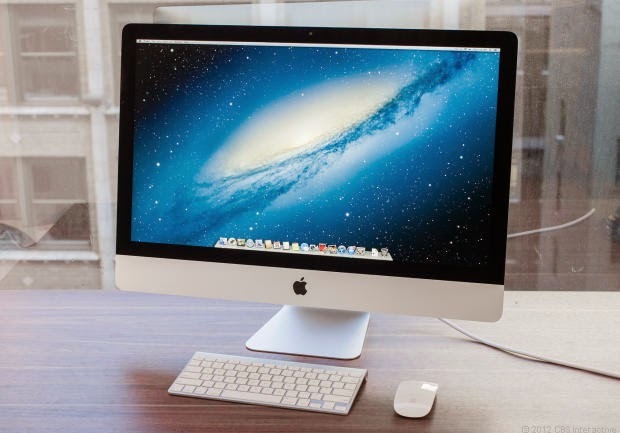 When Macworld tested the new Mac Pro, they found its performance didn't rate much higher than a Core i7 27" iMac in real-world use. To give you some perspective, the 27" iMac uses essentially the same processor in the entry-level hack pro build here. Ultimately, you're likely wasting your money when buying a Xeon processor unless you go with a higher-end version and really, truly need the fastest multi-core processor possible. Finally, as with all builds, the kind of ports and expandability options vary greatly. With Apple's Mac Pro, you get six Thunderbolt 2.0 ports, four USB 3.0 ports, two gigabit Ethernet ports, and one HDMI port. On the entry-level hack pro you get two Thunderbolt 2.0 ports, eight USB 3.0 ports (two on the front, six on the back), two gigabit Ethernet ports, and multiple video port options (including HDMI, DisplayPort, and DVI). You also get several PCIe slots for expanding the machine in virtually any way you like. We prefer the hack pro's port offering, but ultimately it matters what suits your needs best. The entry-level build we're offering isn't as cheap as it could be. We chose the fastest processor, the best motherboard, and high-end graphics card to make this a very powerful machine. If you don't need all of this power, you can knock as much as $1,000 off the price pretty fast. Check out tonymacx86's buyers guide for cheaper options, as the prices is going up from here on out. If the entry-level Mac Pro and hack pro just doesn't do it for you, this next build offers a notable speed boost. Just like the last build, you get more expandability and ports with the hack pro, but the hack pro also levels the playing field a little more. In this build we're using the same processor as Apple's Mac Pro. It does, however, win out on the graphics side thanks to dual GPUs. The hack pro build also loses its Thunderbolt ports (and reduces the number USB 3.0 ports), as there are no compatible Xeon motherboards that feature them. Of course, this build will save you $1,246.11, which might be worth a lot more than some added connectivity. Apple's Mac Pro definitely wins on pretty much every count. It's just a faster machine, but that speed difference is negligible where the price is not. If you buy Apple, you'll pay $5,436.15 more for a slightly faster machine with fewer expandability options and built-in ports. So is it worth it? We don't think so. These Hack Pro builds were made possible thanks to the build guides created by tonymacx86 (and company). Be sure to check out those resources if you want to learn more about these builds or swap out any of the parts we chose. That should be everything you need to know. 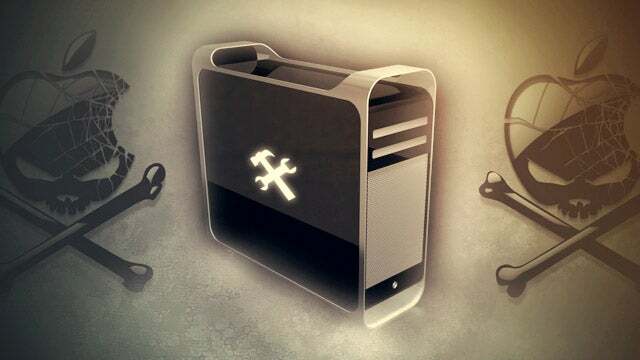 We hope you enjoy your new Hack Pro that you didn't have to wait for Apple to build for you! we've seen many users ask about the best backup solution for their CustoMac. Doing regular system backups of important files and documents can help ensure that you can recover from an unforeseen disaster. Aside from Apple's iCloud based cloud storage, some still like to do regular backups locally; either to an external USB drive or a local hard disk. I want to highlight a few of the 3rd party backup solutions as well as Apple's own solution that many of our members have stated as working solutions. Let's start with Apple's own built-in back-up solution, Time Machine. "Time Machine is the built-in backup that works with your Mac and an external drive (sold separately) or Time Capsule. Connect the drive, assign it to Time Machine, and start enjoying some peace of mind. Time Machine automatically backs up your entire Mac, including system files, applications, accounts, preferences, music, photos, movies, and documents. But what makes Time Machine different from other backup applications is that it not only keeps a spare copy of every file, it remembers how your system looked on any given day—so you can revisit your Mac as it appeared in the past." Time Machine is pretty simple to configure and use. Instructions on how to configure Time Machine can be found here. Next is Carbon Copy Cloner, otherwise known as "CCC" that is very popular for it's ability to do full bootable clones of your system drive. It used to be free but sadly, the developer Bombich Software Inc. has now made it a commercial product and currently it costs $39.99. It has been updated recently to support OS X 10.8 in version 3.5.1. CCC provides additional enhancements that Time Machine doesn't. Lastly, there is Shirt Pocket's Super Duper which has also been updated to support 10.8. Super Duper is shareware which means that is free to download and run, however in order to unlock additional features such as scheduling and smart updates, you'd have to buy it for $27.95. "The latest version of SuperDuper! is faster, better, compatible with Mountain Lion (in fact, it's compatible with OS X 10.4.11 and later), and improves many parts of the user experience. Of course, it still includes great features likeBackup on Connect, Eject after Copy, Sparse Bundle support, lets you store a bootable backup alongside Time Machine backups, copy Time Machine backups to other drives, and run scheduled copies on demand. As with every update, we've polished and improved many other aspects as well." Super Duper can be found here. Please note that if you make a full clone backup using Carbon Copy Cloner or Super Duper, you'll still need to additionally install the bootloader to make the drive bootable on a CustoMac. Simply choose the Chimera option from MultiBeast and target the cloned drive. Whichever the option, backups are extremely important, and these tools can help you recover from a sticky situation. Hi. Excuse me for my English. I'm trying to make it simple. 1, Prepare SwitchResX, PlistEdit Pro and IORegExplorer. SwitchResX is not a must but I recommend it. Log out and log back in if you'd like to be sure. Also works if you have Quartz Debug. 3, Extract EDID in SwitchResX. Or from IOReg as in Picture A. Use the Get Info panel to make sure this text file HAS NO EXTENSION. 6, Edit this DisplayProductID-*** file in PlistEdit Pro. Add the following children and edit their values with your own DisplayProductID DisplayVendorID and EDID data. My GPU supports 2560 x 1600 max. My display supports 1920 x 1080 max. 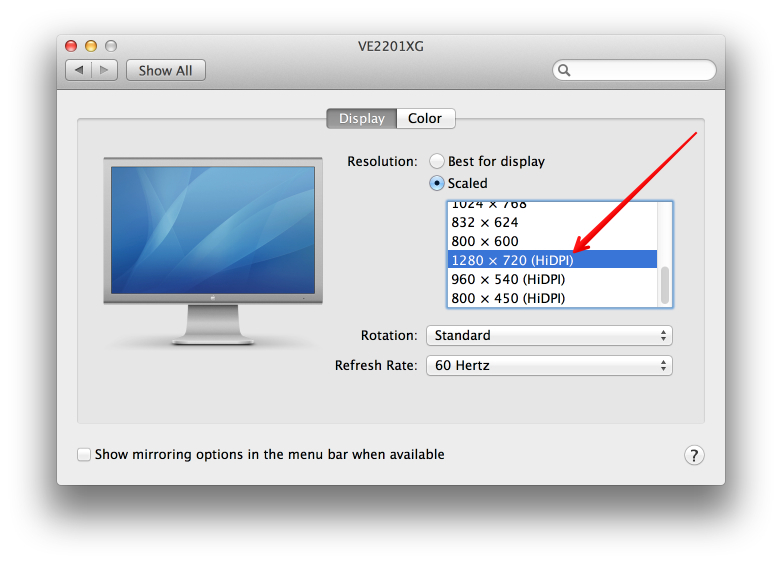 So I will need 2560 x 1440 for retina. 00000001 This one doesn't really matter. I also added 1366 x 768 because I could not stand 1360 x 768 provided by OS X. Now you can take a look in SwitchResX. Your custom resolutions should show up as "scaled" and "system-inactive". If you don't have SwitchResX it doesn't matter either. Do NOT try to choose 2560 x 1440, though. You will get a white screen or worse. Choose 1280 x 720 HiDPI instead. A. Some other tutorial shows how to add custom resolutions with Switchres and Quartz Debug. It seems for laptops only. I was unable to add resolutions on my Hackintosh. Instead I got irrelevant DisplayVendorID folders in /System/Library/Displays/Overrides . Make sure you delete these folders before applying this tutorial. C. Known issues: Lag a tiny bit when switching spaces. Also white screen for less than a second after logging in but before your retina desktop shows up. But it works fine on my Hackintosh now. Use default UniBeast for Mavericks installation guide, but boot flags are required for 1st boot and 2nd boot from UniBeast-created USB. Type the following at boot screen. 6 and 8 core CPUs need a special kext called VoodooTSCSync by Cosmosis Jones of VoodooProjects. Install to /System/Library/Extensions using KextBeast or DPCIManager. Depending on motherboard and UEFI version, it may be necessary to use NullCPUPowerManagement.kext. GA-X79S-UP5 UEFI version F4 or later does not require NullCPUPowerManagement. In order to boot successfully, npci=0x3000 is always necessary. Add to /Extra/org.chameleon.Boot.plist under Kernel Flags. This MultiBeast configuration was made for the Fermi-based GeForce GTX 570 that requires GraphicsEnabler =Yes. Please adjust accordingly for the GPU you actually use. Experimental, make a bootable backup before attempting. Mavericks with AMD/Nvida graphics as the primary display. HD4600/HD4000/HD3000 display not required. 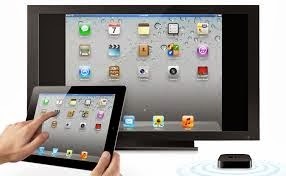 BIOS/Boot screens and AirPlay Mirroring supported with appropriate system definition. For both Intel and AMD/Nvidia,Same technique for Mavericks and HD4600. Primary Display/Init Display First, etc. Boot times likely to increase. Since I don't have 10 hours to install Mavericks on my Late 2009 iMac, I thought I'd use Unibeast instead. Guess what? It works! Instead of 10 hours on DSL, I downloaded Mavericks in 20 minutes! Here's how. So let's say you erased your hard drive on your Apple computer, and your internet is too slow. You'll need to reinstall the OS, and here's how to do it without internet. After a few seconds, you will see a page that says "Install Mavericks"
Select the hard drive you erased earlier and you're on your way! If you'd like a tutorial on how to erase a hard drive on a legitimate mac, let me know and I'll post one. This is my first tutorial, please help me refine it. Thank you very much and I hope this helps you. 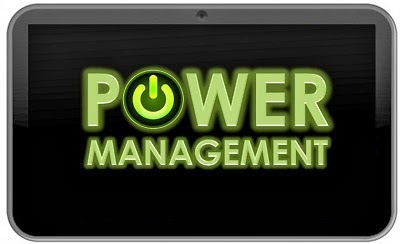 Power Management should be one of the first things implemented when trying to install OS X on a laptop. 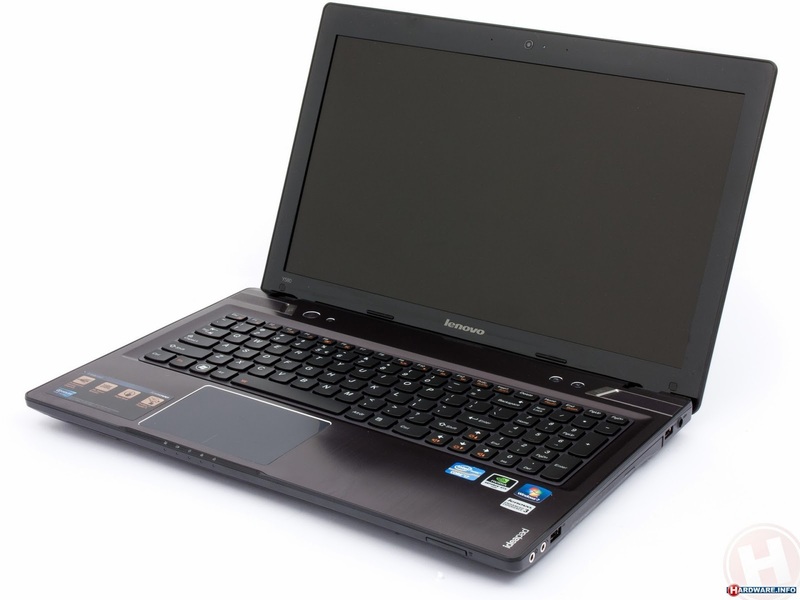 Because of heat/noise and battery life issues, using NullCPUPowerManagement is not a realistic option on a laptop. This guide will start assuming you are running Multibeast for the first time and wish to implement power management on a laptop with a Sandy Bridge or Ivy Bridge CPU. Make sure you download and use the latest version of Multibeast. Most laptops have locked CPU MSRs so you need a patched AppleIntelCPUPowerManagement.kext to avoid a KP upon boot. In fact, you just watch for updates to the system that might replace this kext and be sure to replace it with a patched version before rebooting following the update. Some laptops can flash a patched BIOS to avoid this problem, but I do not recommend it. Why risk bricking your laptop with a patched BIOS when a simple software change can accomplish the same thing. You should be aware of what kind of CPU you have. A Sandy Bridge CPU will be Core iX-2xxx[U|M|QM]. An Ivy Bridge CPU will be a Core iX-3xxx[U|M|QM]. Know what the exact CPU is in your laptop and provide it in your profile. Just saying "I have a laptop with an i5" is not helpful. Note: If you have a laptop subject to "Local APIC panic" (HP consumer laptops, for example), you should install the KernelPatcher module from Chameleon to /Extra/modules. That should give you Sandy Bridge CPU power management (without TurboBoost), plus a bootloader and a starter /Extra folder. You can reboot and test booting directly from your HDD at this point. If you have an Ivy Bridge CPU, you should obtain/create an appropriate System Definition (/Extra/smbios.plist) for your laptop. If your CPU ends in 'U', you should probably use MacBookAir5,2. If your CPU ends in 'M' use the ProBook Installer to create a custom MacBookPro9,1 or MacBookPro9,2. To create a MacBookAir5,2 smbios.plist, use Chameleon Wizard. Next step is to install a custom SSDT using the ProBook Installer. Download the latest ProBook Installer and select only the SSDT option. Click continue to install it. Note: Much of the content in the ProBook Installer is specific to the ProBook. But not the SSDT generator. It can be used on any computer with a Sandy/Ivy/Haswell CPU, even desktops. Note: You must boot with the appropriate smbios.plist (see above) before generating the SSDT. You can use Chameleon Wizard to edit these options if you're not familiar with XML plists. After installing the custom SSDT and System Definition, you should reboot and test it. You can test using DPCIManager (1.5) by using the PStates monitor. In addition, for Ivy Bridge CPUs, you should run IORegistryExplorer and verify that X86PlatformPlugin is loading under the CPU0 node. Note: For Sandy Bridge PM, it is possible to run a rollback of AppleACPIPlatform.kext but it is discouraged. Watch out for battery manager packages that include a rolled back AppleACPIPlatform.kext. iMessage, the cross device instant messaging system built into Apple's OSX and IOS is quite possibly the most finicky element when it comes to getting OSX running on non-Apple hardware. Having built and installed many hackingtosh systems over the past few years, i've run into this problem many times and in each case it was a different cause requiring a new solution each time. I wrote this guide to share my findings for those of you who are having problems running iMessage, it offer's a variety of things to check and change in some sort of logical order, some steps of the guide are critical other are optional, this is made clear at each step of the guide. As i hinted above, there are many different factors that can effect iMessage and stop it from working, I am quite sure that there are still more solutions and tips to be found, as such I can not guarantee that this guide will fix your problem 100% but it has helped many many users and should have at least a 95% chance of working for you. I will continue to update the guide as new solutions are found and confirmed. I would suggest that you read through the complete guide first and digest the various different steps before making any changes on your system, I have tried to explain the reasons behind the problems and each solution, it maybe that you can solve your issue with just one or two of the steps. As always make sure you have a up-to-date backup of your OSX startup drive. If you boot OSX from a standard AHCI single drive (HDD or SSD) then skip forward to step 1, but if you boot OSX from a Apple software raid then there is an added complication. For reasons outside the scope of this guide it is not possible to resolve all the iMessage issues on a active software raid. In order for this fix to work you must first clone your raid using Carbon Copy Cloner to a standalone HDD, install the boot loader and modify the chameleon plist in /Extra so that you can boot OSX from this non raid clone. Once booted from the clone HDD, apply the necessary steps from the guide below to get iMessage working. When your happy that everything is working ok, and you've got a backup of your backup, take a deep breath and delete your existing raid set and then re-create it so a new raid uuid is generated, its worth erasing the two raid member drives before re-creating the raid just so you know that everything is fresh and makes for a good opportunity to update your raid boot loader. Finally clone the standalone HDD on to the new raid set, make the raid bootable by installing the boot loader via the command line method to each of the raid helper partitions and copy the generated nvram.xxxxx.plist from the standalone HDD /Extra folder to the two raid helper /Extra folders, be sure to edit the chameleon plist so that it boots using the new raid uuid. Its sounds a pain and it is, it's time consuming and carries a certain amount of risk but all OSX software raid users should be familiar with the above method as that's how we get our raids woking in the first place, so just think of it along those lines and it wont seem quite so daunting, just be sure to cover yourself with multiple backups if possible. If you don't understand the above then please stop now, do some research and make yourself very familiar with the way a OSX raid is created and made bootable on a hackintosh in the first place. Please see the raid specific notes towards the end of the guide for further information on this problem, my thanks to stradivari2 for confirming this issue. Step-1: Do you have a 'Validated' Apple ID account ? The Apple ID you use with iMessage must be a validated account and the easiest way of making your account validated is to register a credit card against the Apple ID. If you have already bought apps or music via your Apple ID then the chances are your Apple ID is already validated, you can check the status of your account by logging into Apple's on-line Account manager. You can register a credit card against your Apple ID either through iTunes or the App Store. Once you Apple ID is validated and you have iMessage working you can remove the credit card if your worried about others using the account and running your bill up with iTunes and App purchases. Step-1 Summary: Your Apple ID must be validated in order for iMessage to work. This is a new step which i figured out while assisting a good mate of mine with getting iMessages to work, one thing that was different for him was that both iCloud and the AppStore where also not working despite having an otherwise perfect system with internet and local LAN all working fine. We have identical builds so after walking him through this method a few times, we started to dig a little deeper. Im pretty sure that if you've tried everything and are still having issues this step could really be important. I've got a Gigabyte GA-Z77-UD5H Motherboard that has two LAN ports, one is a Atherois controller and the other is a Intel LAN controller, The Intel port is 'en0' and the Atherios port is 'en1'. When I compared this info with my mates system his Intel port was 'en2' and the Atherios port was 'en1' there was no 'en0'. How this can happen i'm not sure, maybe something to do with installing a firewall or some extra step in the install. In the end it was quicker and easier to re-install OSX and this time the Intel port was identified as 'en0' and after applying the fix at Step-5c everything worked perfectly. So if you don't mind a re-install then that is probably the best option. We did try deleting NetworkInterfaces.plist in /Library/Preferences/SystemConfiguration and re-booting, we tried removing the network devices in [System Preferences -> Network] and re-adding them , un-plugging cables and moving things around and eventually we were able to get the Intel port identified as 'en0' but even after trying all the remaining steps, iCloud would still not work. I suspect there are some other setup files that need deleting/changing. Like i said, in the-end, ten minutes spent re-installing OSX and completing Step-4 and the job was done. But we didn't try this as we'd already wasted hours trying to fix it which is when we decided to re-install. If anybody does find out how to fix the lack of 'en0' then let me know and i'll update the guide. Make sure you have a unique Apple serial number, i think the latest version of Multibeast should take care of this during installation when it creates the SMBios.plist file, but as an added precaution i would recommend running Chameleon Wizard and click on the 'SMBios' icon then click on 'open' and navigate to /Extra folder in the root of your startup disk and select the file SMBios.plist. You can use one of the pre-made SMBioses if you know the correct one for your system (3,1 in my case) this will automatically fill-in a few non critical information tags that Multibeast leaves blank, however this is an optional and if your not sure just leave that alone and keep the one generated by Multibeast. To change the serial number, click a few times on the two 'Random' buttons to generate a unique batch number and week of manufacture then click on 'Save'. If you are not already running Chimera 2.2.1+ then please download and install it. OSX Raid users will need to manually install Chimera by extracting the /usr/standalone/ i386 folder from the install package and use terminal commands to move the boot-loader files to the appropriate helper partitions. Step-3 Summary: You must have a unique Serial No. and up to date boot-loader. If you are starting with a clean OSX install then there is no need for you to perform this step so jump forward to Step 5, however if like me you have been trying to get iMessge to work for some time then the chances are that the setup data and plists are full of invalid data. So lets start with a clean slate and remove all the current iMessage related data and plists. Ensure that you have ‘Show all Files’ or similar app for accessing hidden files and folders. You can get Show all Files form the Terminal. You can switch off 'Show all Files' now. On all real Apple MAC's, OSX stores some critical system variables and their contents in Non Volatile RAM rather than writing them to a config file or plist on your drive. The Apple NV RAM is bespoke hardware that is built into a MAC's System Board, as such PC Motherboards do not have it. One of the most important variables normally stored in NV RAM is the SystemID UUID, as well as being a unique system identifier the value of the SystemID UUID is used as part of a crpto key for keeping content secure, this is an important factor of the Apple eco system and one which the iMessage system uses. If the iMessage uuid & session key is not saved in NV Ram then next time the system is powered off/rebooted it can be a different value resulting in iMessage login and activation problems. There has been much work done in the community to try and resolve this problem and the latest version of Chameleon (Chimera) does include a fix that try's to maintain the SystemID UUID in OSX's nvram cache. But for reasons outside the scope of this guide it does not work for everybody, if this is the case for you then you must perform the following step. Hackingtsoh wizard xzenue has written a boot time module called FileNVRAM that simulates Apple's Non Volatile RAM through software and store's the names and values in a plist called nvram.xxxxxxxx-xxxx-xxxx-xxxx-xxxxxxxx.plist in the /Extra Folder of your OSX startup drive. This file will automatically get generated by FileNVRAM the first time it is initialised. By storing the variable names and values in a plist, FileNVRAM allows OSX to maintain these variables and values through power cycles and reboots. Further information is written to the simulated NV Ram by OSX such as brightness level and in iMessages case the current session key which is critical to iMessage working correctly. Download the attached file ‘modules.zip’ and extract it, the contents are a folder called 'modules' which has a single file in it named 'FileNVRam.dynib' copy the ‘modules’ folder that you extracted form the attachment and place it in the ‘/Extra’ folder in the root of your startup drive. Note: More recent versions of Multibeast now create the 'modules' folder in /Extra and place a file called 'Keylayout.dynib' in it, if you already have a 'modules' folder then just merge the contents of the attachment with the existing folder. Now before we reboot i recommend running Disk Utility and repair permissions on your startup disk, this is optional but a worth while step. That’s it, reboot your system . . . If you installed Chimera at Step-3 of this guide then its best to stop the boot process the 1st time round and check that you have the correct version installed (just press the tab key to switch to text mode at the boot loader screen, the version will be displayed at the top of the screen) it needs to be 2.2 or later. If all is well, let OSX load and try iMessage, hopefully it will now work. If things don't work the first time do not give up, sometimes you may need to repeat a step or perform a step that you skipped the first time round. I've successfully used all of the above steps in various combinations to get iMessage working on OSX Mountain Lion 10.8.4/5 and Mavericks 10.9.0/1/2. Please post your success or fail stories here and if it did work for you please click on the 'Recommended' tab at the very top of this post to help others find it. As I said at the start, most of this guide has been put together from various tips I found around the web and a lot of personal experimentation, my thanks to everyone who contributed - without the Hackingtosh community things would be very different, we should all be grateful for everyones hard work, without which we would not be able to run this great OS so well. Special thanks to xzenue for creating the NVFileRAM fix. If you boot OSX from a software raid then unfortunately there is a problem with the way NVFileRAM works, because the boot loader has to be accessible outside of OSX (software raid can only work once kernel is up and running) the /Extra folder must reside on the raid helper partition(s), unfortunately the raid helper partition(s) are unmounted once OSX starts up, thus FileNVRAM is unable to access the /Extra folder and eventually times out and quits, so it is unable to update the info in the nvram plist. The only way around this as far as I know is to clone the raid onto a stand alone HDD, modify the chameleon plist and install the boot loader so that the drive can boot on its own. Once booted from the stand alone HDD it is possible to install FileNVRAM in the /Extra folder and perform any additional steps required from the guide. Once the new standalone HDD is booting ok, FileNVRAM should also be working and should have auto generated the nvram plist in /Extra, so go ahead and log in to iMessage, hopefully it is working now. Once you have a working build you then have to re-clone the standalone HDD back to the raid and then copy the nvram-xxxxxxxx-xxxx-xxxx-xxxx-xxxxxxxx.plist to each of the /Extra folders on the raid helper partitions and make sure you have NVFileRAM version 1.1.2 in the module folder. Once the re-cloned raid is working, FileNVRAM works in that it can read the plist from the helper partition and initialise the nv ram with its contents, thus iMessage will continue to work. However once OSX is loaded, NVFileRam it is unable to refresh the contents of the nv ram plist in /Extra as the raid helper partitions are no longer accessible (un-mounted) so if you ever get logged out of iMessage or your SystemID UUID is altered the plist can not get updated and you will have to do the whole process again. Most raid users should be familiar with this procedure as it is the way most users set up a raid in the first place, but it is time consuming and there is always the possibility that something could go wrong during the cloning process and you could end up loosing your raid. Multiple TM & CCC backups are the solution to that fear, make sure you cover yourself for all possible out comes. There must be a better way like updating some OSX files or plists with the Raid or SystemID uuid's, but as yet i have not found one, if anybody else has a better solution to resolve the raid issue with NVFileRAM please post , I have a raid 0 on my primary development system and i come against this problem all the time. Update: I have reported this issue to the developers of NVFileRAM and suggested a possible work around, once we have a better solution for Raid users I will update the guide. Please see this Link for the problem & enhancement request. In order or for iMessage to work on a Hackingtosh computer the following must be true. Note: The version of FileNVRam.dynib included in the attachment of this guide is Version 1.1.2, the more investigative forum members may find a later version of FileNVRam.dynib floating around the internet - Version 1.1.3. It has been widely reported by many users, including myself that Version 1.1.3 does not work in all cases at least not yet. If the situation changes I will update this guide but for the moment I would recommend that you stick with Version 1.1.2 only try Version 1.1.3 if all else fails. What else can I try ? Whilst this guide should work for the majority of users there are a few odd situations that can still cause iMessages to fail, a few users have reported success by using a real MAC to (re)initialise the Apple ID, I would suggest that you read through the rest of this thread - some forum members who the guide did not help have resolved the issue anther way and posted their findings.